Frugal & Fabulous: CVS Spend $25 get $10 ECB deal! CVS Spend $25 get $10 ECB deal! Yesterday my husband got a coupon in the mail for a free Schick hydro 5 razor. I can't remember if I signed up for it or what but that was a nice surprise! Anyway, I knew I wanted to combine it with this weeks Schick/Banana Boat Spend $25 get $10 ECB deal! 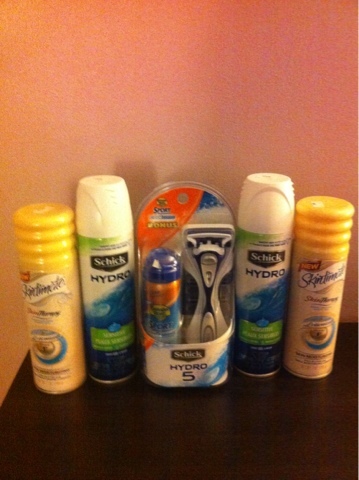 I bought one Schick Razor @ $10.99 (free after coupon) and four Schick shave gels at $3.99 each. Each shaving cream had a $1.50 peelie on it so my total came to $9.96! So after the $10 ecb it was basically free! Not a bad deal!